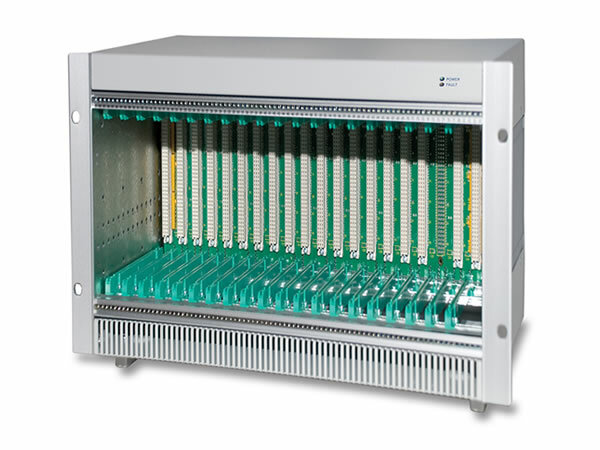 Its flush front subrack and rear transition module (RTM) subrack comply with IEEE 1101.1/.10 and /.11, the latter configurable for 3U or 6U x 80mm modules. Subrack support for legacy VME boards (IEEE 1101.1) is available. Power system options include AC or DC input; internally mounted or PICMG 2.11 plug-in styles; single, dual, triple or quad outputs up to 2kW. Optional is NOVA’s System Environmental Monitor (SEM) that the user can locally or remotely monitor and control fan speed, temperature, input/output power and user-definable I/O. Both HTTP and SNMP protocols are included in the SEM’s firmware. Customization is available on all Class 4600 models. Please contact NIS with your unique requirements! Model 4601 1U Coming Soon! Model 4602 2U Coming Soon! Model 4603 3U Coming Soon! Model 4605 5U Coming Soon! Model 4606 6U Coming Soon! Model 4607 7U Coming Soon! Model 4609 9U Coming Soon! Model 4610 10U Coming Soon! Model 4611 11U Coming Soon! Model 4612 12U Coming Soon! -1,000 ft. to 25,000 ft.